Playstation 2 Online - View topic - PS1 train to go controller? Topic: PS1 train to go controller? It seems to be a ps1 train to go controller? Ive been unable to find out anything about it in the basic places i.e. ebay and google I'll try wikipedia in a moment. Couldent find an image so I scanned the box lid. Its all in very good condition with full box and packing, only the box has some minor ware. Totally gob smacked that I found what appears to be a JP only product for �1 in a UK car boot sale. Dunno what I'll do with this yet If its worth anything I'll probably sell it or add it to a package deal if not I'll pick up a game to go with it. Which specific game goes with this or is there a selection? 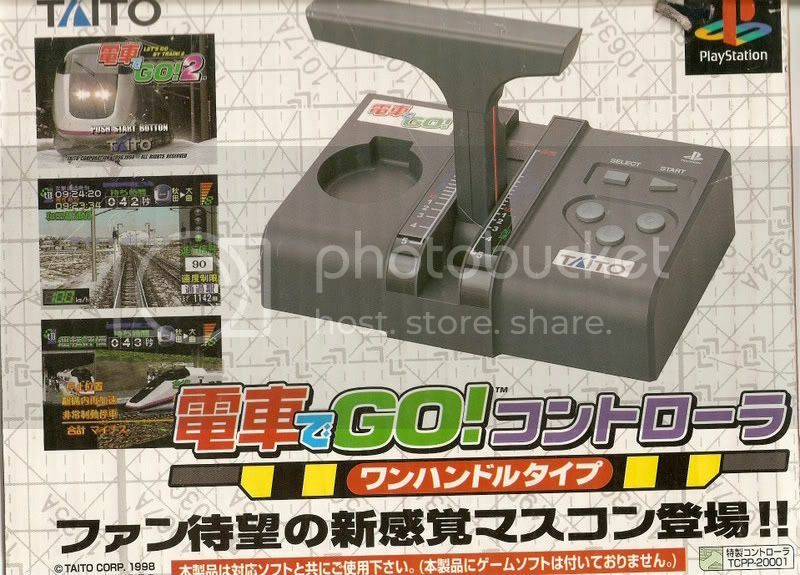 Blast, that controller you scored is used for Densha de Go. There are five games in the series for the PS1. I have never played these games personally, though they are supposedly pretty solid. Cheers for that, dunno where I got train to go from think thats the translation? This helped me track some down. They seem top be rare although not worth a huge amount. One like this actually sold on Ebay America for 1 cent I found in completed listings, although there was a lot of postage from japan. I'll take a look at what the games go for, any ideas anyone? Also is this controller good for the PS2 and PS2 games? or only for PS1 games? On top of that is this good for just one of the 5 PS1 games or do I want to look for a specific one?